An e-book bargain: The Little Prince – Joyce's mystery and fiction book reviews with some non-fiction too! This classic illustrated story by Antoine De Saint Exbury is an e-book bargain today. I have read this one twice and, while it was a book I liked the first time, I enjoyed it even more as a re-read. 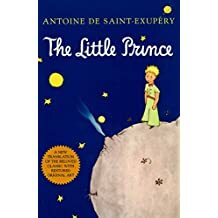 The Little Prince is deservedly a modern classic as it gently encourages the reader to think about what is important in life and how we treat others. I feel ashamed to admit I’ve never read this book. I want to, but I haven’t had the time. It’s a pity, because I hear it’s such a beautiful book!